While we're taking in the sunny September weather, we also have fall fashion on our minds. Our latest Outfit of The Week caters to both worlds. Known for her bold colours and feminine silhouettes, this Emilia Wickstead matching set is a golden dream. 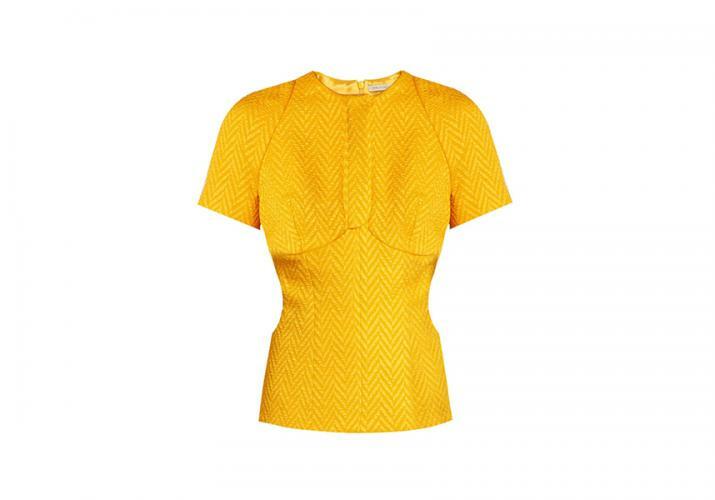 The structured top is expertly cut from lightly textured chevron matelassé in an eye-catching mustard-yellow shade, with contouring seams and an intricate cut-out to highlight the slimmest part of the waist. We embraced the full look with the matching Rodeo trousers offering a precisely flared silhouette shaped by neat pressed creases and fluttering godets. Bringing in some autumn elements via our accessories, the first thing on our mind was a great pair of shoes. Made from black suede and leather, the real star of these pumps are the multi-colored gemstone accents and the tiger hued 'pheasant' feathers. It was from the bold jewels that we drew inspiration for our beautiful bag. 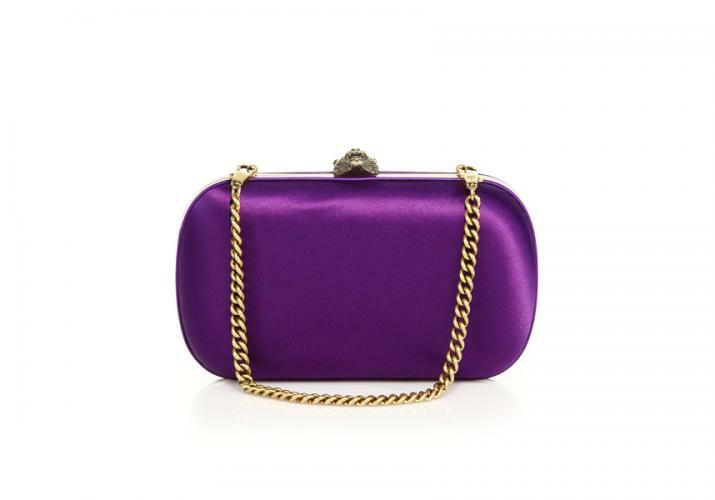 The Gucci Broadway evening clutch is made in Italy with antique gold hardware and sumptuous purple satin, adding the perfect punch of color. For our jewelry we took a darker turn, with Monochromatic statement earrings. These tassel drops from Bauble Bar offer a flare of both elegance and edge to our look. Rounding things out with a little beauty, nothing makes a statement more than a fearless red lip. This liquid formula by Elizabeth Arden promises to deliver brilliant intensity with a luxurious, long-lasting finish and high-impact coverage. There's few things better when it comes to makeup than a lipstick that lasts all day long. 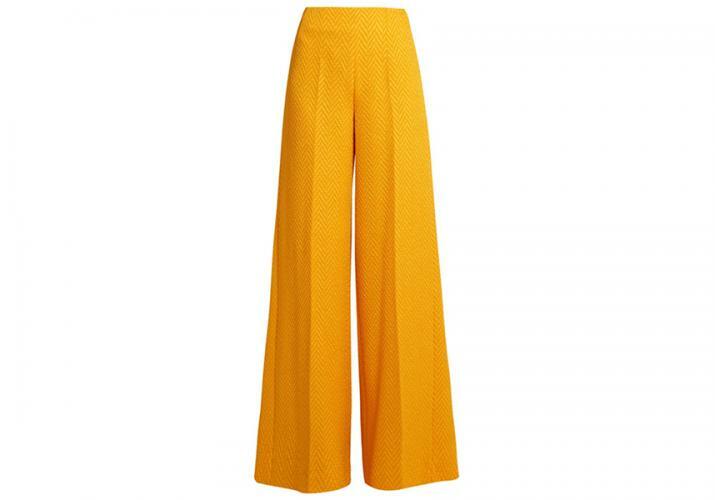 Whether wearing this to work or an an evening out, you are sure to be a 'Sunny Delight' wherever you turn up.